I just finished the absolutely stunning and incredible great “The Swarm” (web page of the book, WikiPedia entry) from Franz Schätzing. A book of more than thousand pages where the tension never stops. A scientific thriller where humans are exposed to strange attacks from animals from the sea, reaching apocalyptic levels. After initial local trials to fight back the attacks, an international group of scientists and military finally agree that is has to be some kind of unknown intelligent species from deep down there in the sea that controls the attacks. In the following an expedition is started to take contact with this species. But the contact turns out to develop in a very different direction then originally planned. The book took me by surprise. I normally read five to six different books at a time, switching often and enjoying all of them. Since I opened the first page of “The Swarm” I did not touch any other book until I had finished the more than thousand pages filled with a mixture of science (biology, oceanology, physics, …), bio-thriller, science fiction. All through the book I was wondering: “Can Schätzing keep this pace, this power, all through such a long book?”. And I have to say, he can. The tension never recedes, keeping you thrilled and expecting what is coming. Besides being a thriller, it only teaches lots of things on the oceans and their inhabitants. 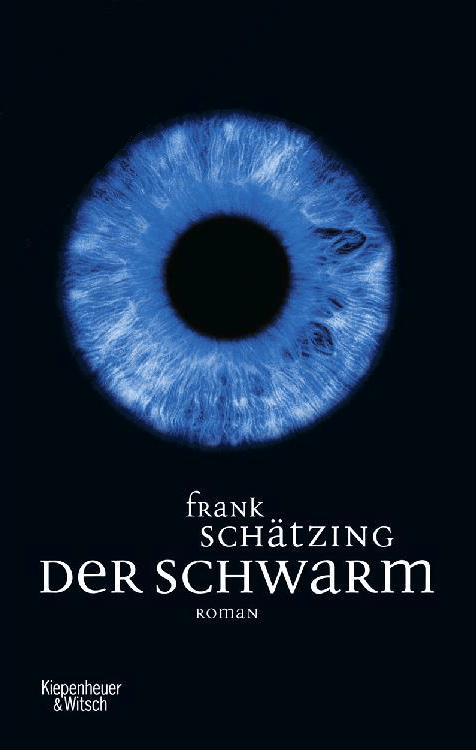 Schätzing must have done a Sisyphean amount of research work for this book. Translations are available in many different languages (unfortunately not in Japanese for now). I have read the German (original) version, so I cannot comment on the quality of the English nor any other version. A movie is planned to be released in 2015. I cannot imagine how it will look like, but I will surely enjoy it.